Desiree Mays has delighted and enlightened audiences with her intriguing talks on opera at the Metropolitan Opera in New York, at leading opera companies in San Francisco, Los Angeles, Baltimore and Utah, and to Wagner Societies throughout the United States She is resident lecturer for The Santa Fe Opera, where she has authored the Opera Unveiled series of books for SFO patrons. 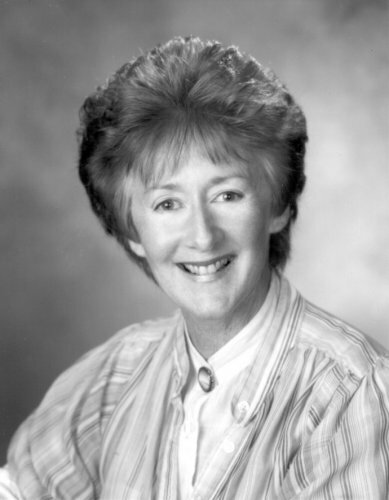 She has written numerous articles and program notes on opera, and lectures and hosts tours for Adventure in the Arts in Europe and America. 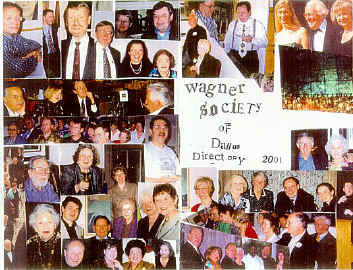 Desiree Mays reported to the Wagner Society of Dallas on February 2, 2003, her views on the recent book The Tristan Chord, Bryan Magee's latest look at Wagnerian music and philosophy. During her presentation, she included musical selections from Wagner operas to illustrate her points. 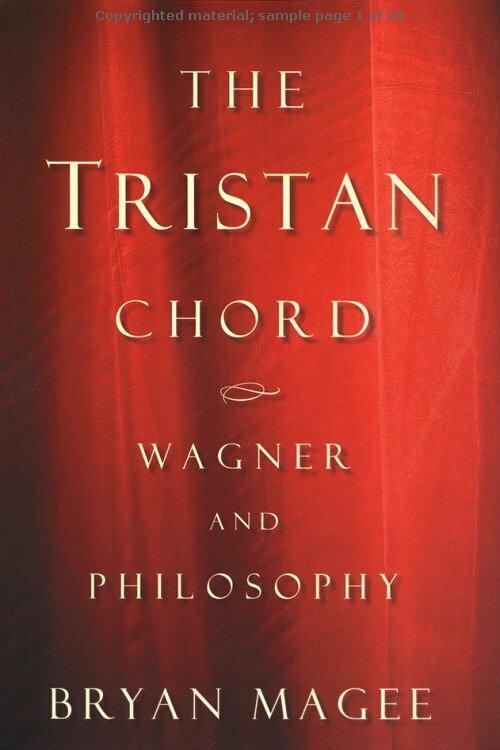 Bryan Magee's book, The Tristan Chord, deals with the influence of philosophy on the music of Richard Wagner. In this book he discusses Aspects of Wagner, his ideas on music and philosophy, and the influences that various philosophers in 19th Century Germany had on Wagner and his musical output. Each of the 10 major operas in the Wagnerian canon has its own unique sound world, and the music that Wagner wrote in each one speaks volumes about his philosophical attitudes at the time he wrote it. At the time of his early operas, Hollander, Tannhauser and Lohengrin, Wagner was a left-wing liberal. Many artists today also fit into this category. 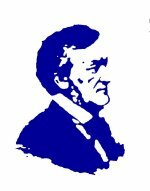 In 1849, Wagner was a revolutionary and socialist who had views of unrestrained sexuality and a desire to change the world. He was one of the leaders of a failed social uprising in Dresden. The fact that he was operating in a conservative social monarchy was very similar to the situation faced by the Hippie movement in the 1970's. When his revolution failed, and many of his comrades were arrested and imprisoned, Wagner was able to escape to Switzerland, where he lived in exile for 12 years. By the time he exile began, he had already written Lohengrin, which was soon to have its premiere in Weimar by Franz Liszt. During his time in Switzerland, Wagner worked on his new masterpiece, the operatic tetrology Der Ring Des Neibelungen, a tale of a decadent world which is destroyed by fire in order to be rebuilt. As he composed the Ring, Wagner felt that the current Italian/French operatic tradition was as decadent as the world he sought to depict, and so he looked for a new German Romantic style for his new operas. In his search, he was influenced by the German philosopher Feuerbach, who preached redemption through love. Philosophically, the Ring represents a hope for the future. The gods in the Ring Cycle are not always good, a concept that audiences today find difficult to grasp, even after more than a century of familiarity with the Ring of the Neibelung. It took Wagner 26 years to complete the Ring, a cycle of four operas lasting nearly 20 hours and performed over the course of four days. It is the single largest operatic work in the repertory today, and the role of its main character, the god Wotan of Norse mythology, is the longest and most demanding in opera. In this opera, Wotan the God and Siegfried the Hero represent parts of Wagner's own personality. Wotan is the old establishment, Siegfried the young, hot-headed fire-brand. The denouement of the Ring, involving the destruction of the world by fire and the flooding of the Rhine in order to make way for rebirth, is inherently the concept of social anarchy. Wagner's mid-life crisis, however, occurred during the composition of the Ring, after he had completed the libretto and had composed more than half of the music. He turned to Eastern religion and the philosophy of Schopenhauer, a path which ultimately led him to Parsifal. Thus, he switched from an intellectual to an intuitive approach to composition half way through the Ring. In contrast to Feuerbach, Schopenhauer says, "the world exists, whether we can perceive it or not." This is the "oneness of being." Both of these concepts are also the central and core beliefs of Hinduism and Buddhism. Music is thus a metaphor for experience, and as such, music is superior to the other arts: music corresponds to whatever is in our innermost being. Wagner interrupted the composition of the Ring to write both Tristan und Isolde and Die Meistersinger von Nuremberg. In Tristan, musical phrases no longer resolve to the tonic until the end of the opera. Each resolution in a musical fabric is a process of tension and release. By delaying the release of tension for a complete four hour opera, Wagner was able make the audience experience a heightened desire for resolution, thus making the impact of the final resolution even more exquisite. Resolution is delayed by the simple device of a discord followed by a discord, known as The Tristan Chord. The Tristan Chord contains two dissonances. At each resolution, only one dissonance is resolved, leaving the other dissonance unresolved. Wagner had found a musical way to create philosophical insight: Tristan represents "sehnen" or longing, Hans Sachs in Die Meistersinger represents "wahn" or illusion, and Parsifal represents "acceptance." 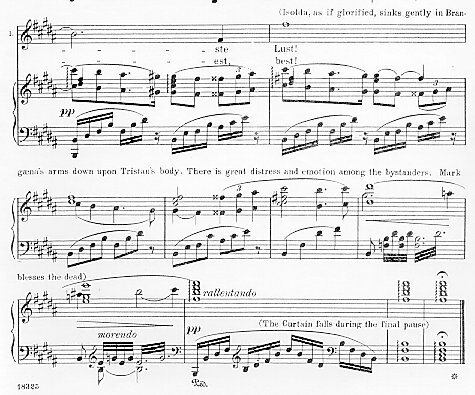 Breaking up the composition of the Ring presented a problem for Wagner; since the libretto of the opera had already been published, he was unable to change it significantly. But after writing Tristan and Meistersinger, he was no longer an ardent revolutionary but an inward-looking mystic. That he was able to complete the Ring so magnificently is a tribute to his genius. At the end, we arrive again where we started, but now we know its meaning. This program will begin promptly at 5:30 p.m., with a social hour and refreshments afterwards. 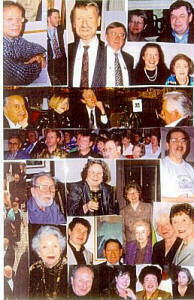 Cost is $10 for members and $15 for non-members. You may pay at the door, but please let us know that you are coming.